I’ll be with you in a few, I am blocking traffic. According to my stats, people are finding my blog by searching on “outhouse puzzles” and “Bears and outhouses jigsaw puzzles.” Well, if you want that puzzle, I wish you the best. I have several more for you, if I can get them away from my mother, but they don’t have as much character as that one. We now have our White Christmas here in Colorado. I don’t think we really needed 14 inches of White Christmas. The birdbath in the backyard is the official documentation station. 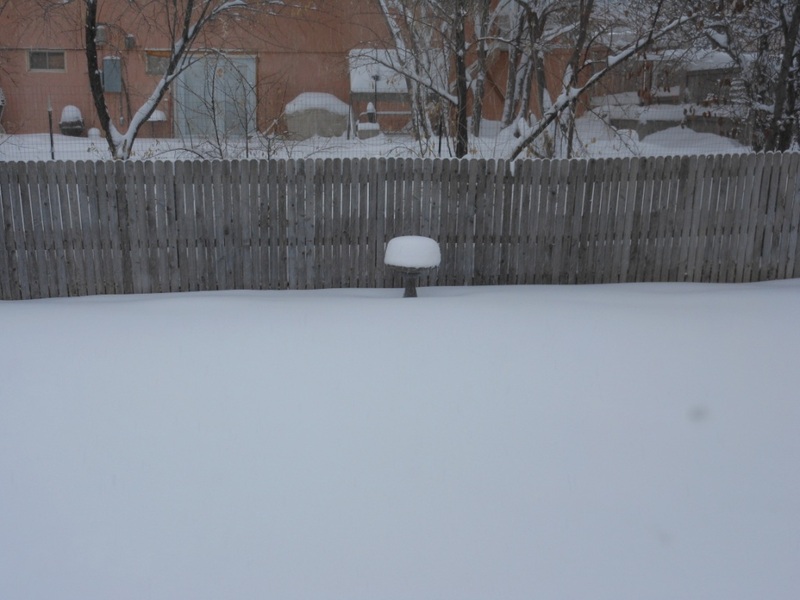 I do not think it fully displays the depth of the snow this time. Ken got stuck trying to get out of the driveway this morning. After he shoveled his car out, he decided he was going to drive to the park and ride and take the bus the rest of the way. That worked out great for me, because I had to drop my car off to get serviced before we drive to SD for Christmas, so I had the shuttle take me to his car at the bus stop. 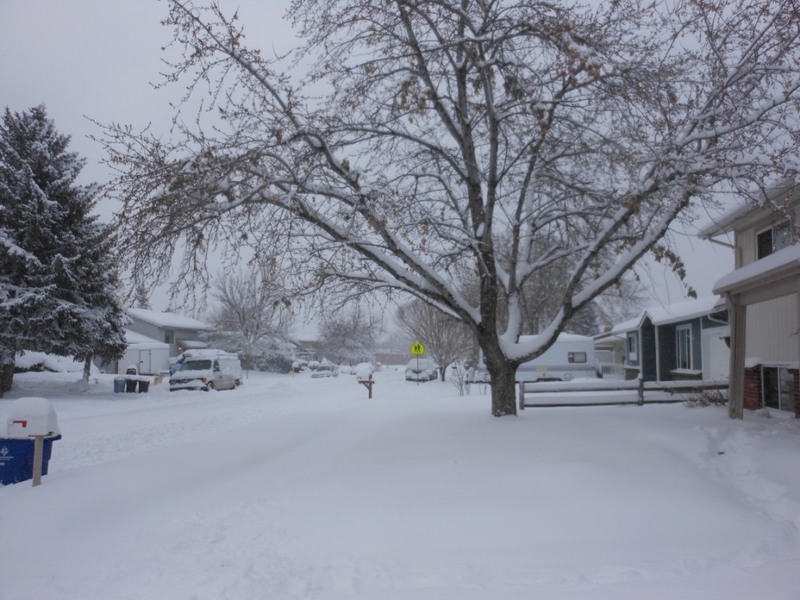 Our street, this is the 4th snowstorm this year, and the biggest one so far, Ken says. I was fine driving my little car around town, gave myself 2 hours to get to my eye appointment across town. I was also meeting my mailing coordinator with 2 mailings for work. Fortunately, he was also 45 minutes early. Great minds apparently think alike. So I sat in the coffee shop and worked for about 40 minutes until my optometrist could get me in 20 minutes early. Why do I still drive way across town to the optometrist? Well, one of the docs there went to SDSU for Pre-optometry, and the guy I had today went to NDSU. These are my people. They understand the cold weather. They are glad to be living in Denver. We can talk about the mighty Jackrabbits. 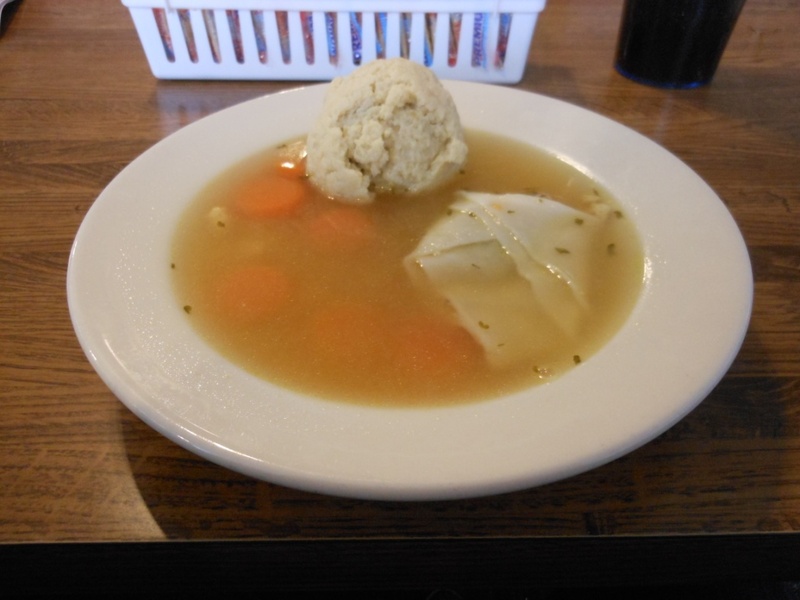 Then I went to my favorite restaurant down south (Bagel Deli) and had chicken soup with one matzo ball and one kreplach (Jewish wonton as they called it) because I love their matzo balls but I wanted to try kreplach. 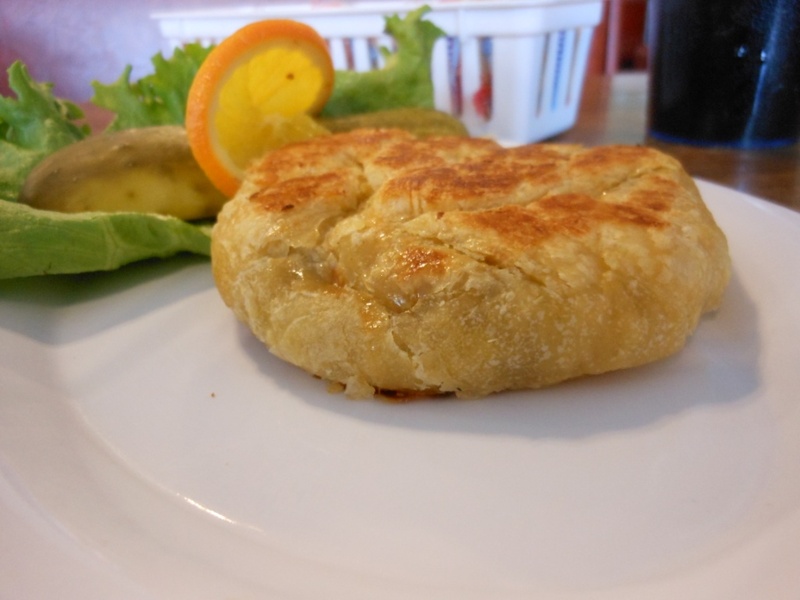 Then I had a kashka knish (Kashka is cooked buckwheat). The kreplach was fine, I would eat that if I was in a slightly different mood, but I still like the matzo balls. The knish was kind of bland. I can see how you could easily substitue kashka for meat in some dishes, tho, it has the right texture. It was perfectly made. Just not my thing. I still have NUMEROUS items to try on their menu. Then I made my way to the car place, dropped of the car, picked up Ken’s car, tried to do some Christmas shopping (unsuccessful), came home to get on a work conference call and got stuck in the driveway. Called into the conference call and told them I was blocking traffic and I would be with them in a few minutes. Fortunately, our dear neighbor across the street has a 16 year old son who was already suiting up to come help me. And another neighbor from down the street joined in. We have a good neighborhood. Also fortunate the neighbors were home because I gave my house keys to the car guys along with my car keys, whoops, but our neighbors have a spare. We got my car dug out enough to get into the driveway, and I told my helpers “That’s enough, thank you, you don’t have to dig any more,” but they still dug some more of the driveway out as I went in to get on my call. I do my best to help people when I can, but it is so humbling when someone helps you, it makes you want to do more. So I am remembering to help the next person stuck in a snowdrift (literal or figurative) I see. I have 8.5 and 8.0 for my contacts. We could practically swap glasses/contacts!